Raijintek today announced the Ophion and Ophion EVO cases. 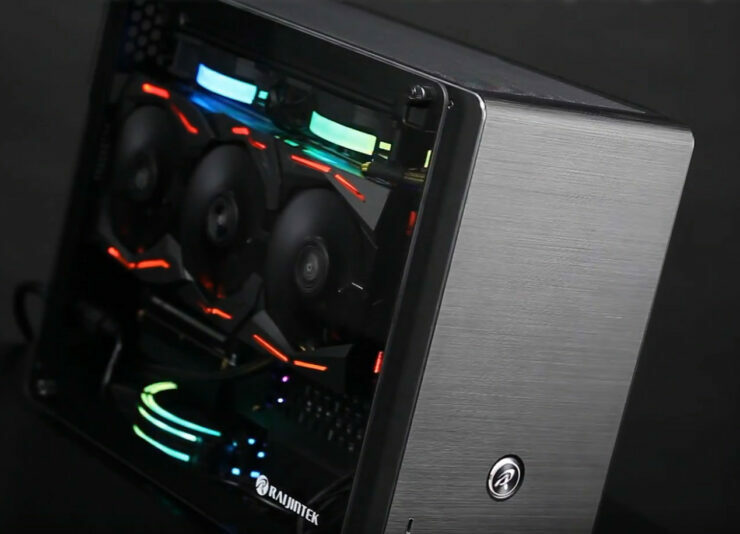 The Raijintek Ophion and Ophion EVO are two impressive M-ITX cases that offer a range of features not often seen in small form factor cases. 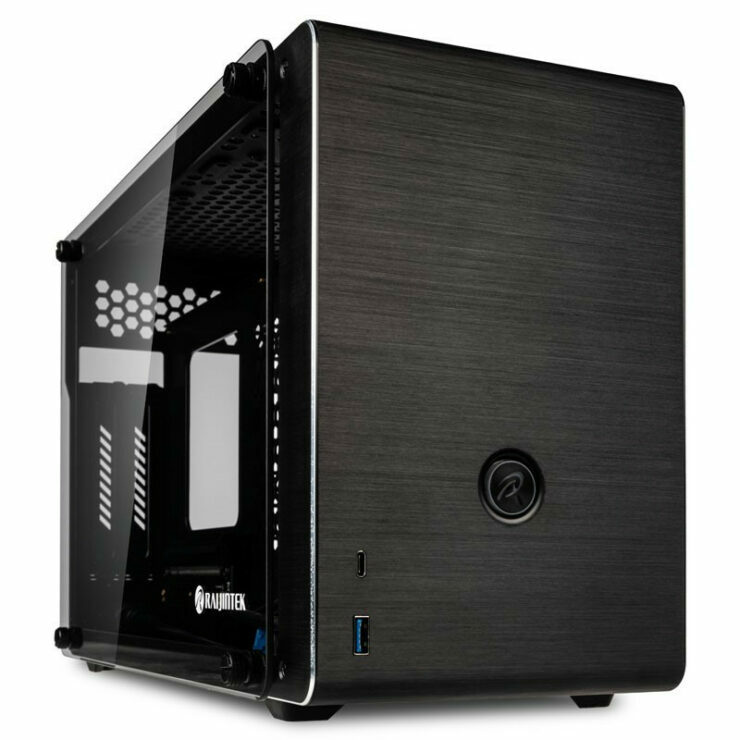 The Ophion and Ophion EVO can accommodate a full size 330mm GPU alongside a standard ATX power supply, with the Ophion EVO even supporting top mounted 240mm AIO coolers in a case that’s just 17.4cm wide. The case itself has a brushed aluminum front panel alongside two tool-less tempered glass side panels; It also includes a full speed PCIe 16x Riser Cable. Air cooling 2 x 120mm top mounted fans (25mm) and 1 x 120mm bottom mounted fan (25mm). The Raijintek Ophion and Ophion Evo both come with tool-less, tempered glass side panels to give access to the internal components. 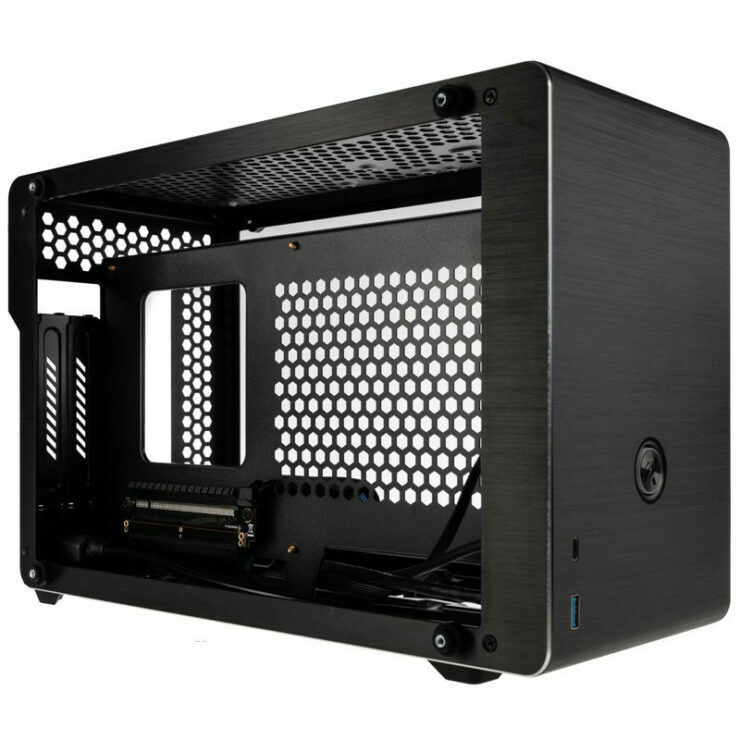 The case itself supports a Mini-ITX size motherboard, located on the left hand side next to the ATX power supply mount complete with kettle lead extension. On the right hand side of the case is the GPU mount, which can hold up to a 330mm full size card, with a 250mm PCIe 16x Gen 3 Riser cable included as standard. In terms of air cooling, the Raijintek Ophion comes with space for up to 3 x 120mm fans. 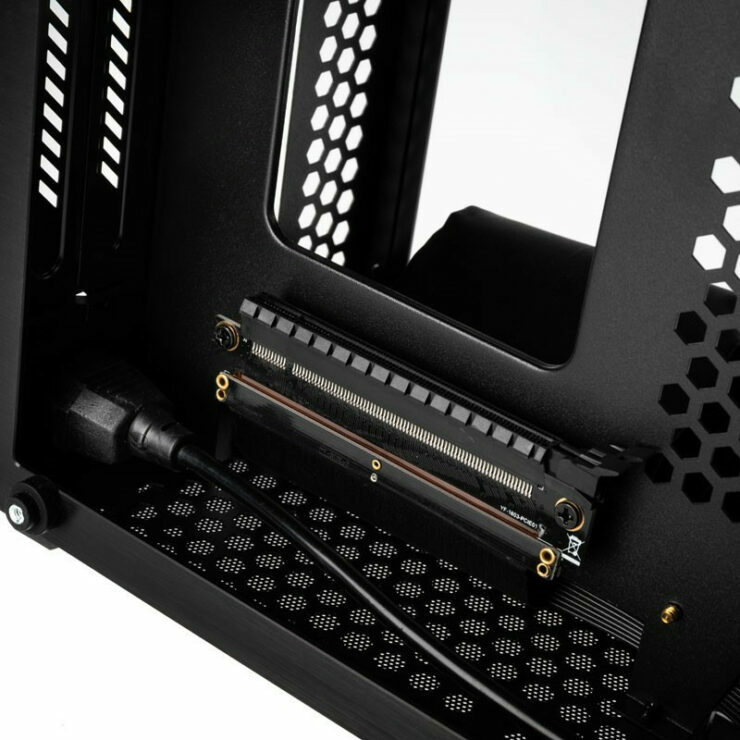 2 x 120mm fans (25mm) are located in the top of the case and an additional 120mm (Ophion 15mm/Ophion EVO 15/25mm) at the bottom located directly below the motherboard mount. Unlike the Ophion, the slightly larger Ophion EVO supports a top mounted 240mm AIO cooler, perfect for cooling overclocked components. The Ophion has support for a single 3.5″ HDD drive, which can be mounted in place of one of the top 120mm fans. In terms of 2.5″ drives, the Ophion can mount a single 2.5″ SSD mounted to the front panel, with room for an additional 2 x 2.5″ drives in place of one of the top 120mm fans. The Ophion Evo has support for a single 3.5″ HDD or 2 x 2.5″ SSDs, by removing the bottom 120mm fan. The front panel also has an additional 2 x 2.5″ SSD mounts. The Ophion and Ophion Evo both have a aingle USB 3.0 and USB type C connector alongside an LED power button. The Ophion and Ophion Evo are priced at £119.99/£129.95 respectively, For more information, and to pre-order, visit this page.